Great music. Great people. Great cakes. 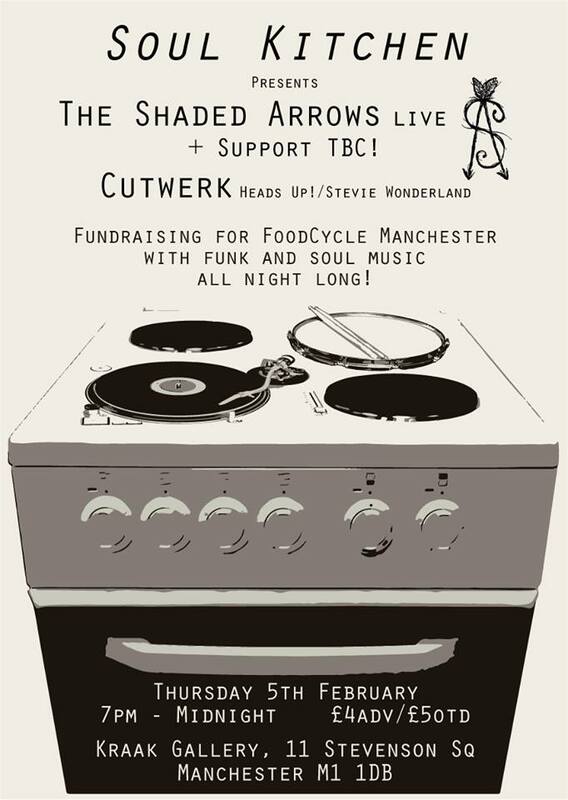 Come and enjoy live music from bands including the brilliant Shaded Arrows https://soundcloud.com/the-shaded-arrows plus a DJ set from Cutwerk (Heads Up!/ Stevie Wonderland). A night of funk & soul (and baked goods) for people who care about food waste and making a difference. All profits go to fund the work of FoodCycle in creating community meals from waste food.